Melissa became known when she won season 5 of The Next Food Network Star. But she's been making simple, inexpensive meals for her family for years. In fact, her homemade yogurt recipe is probably what landed her a spot on the show. Her cookbook simplifies cooking and gives a price range for each recipe so the cook can plan a meal that is fresh and under ten dollars. The book is filled with helpful cooking tips and glimpses into the d'Arabian family. I am a very simple cook. If the recipe has tons of ingredients or instructions I pass. My family has some really picky eaters so I was surprised to have quite a few recipes earmarked to try. I look forward to testing them out. Most of the recipes in this book are simple and easy to make. This is a book for the simple cook, the family on a budget, and the mom wanting to prepare fresh food for her family. Amanda is suffering after the loss of her child. When a neighbor offers her the opportunity to travel to Israel, her husband urges her to accept. The trip opens her eyes to things she'd been missing for a very long time. She learns that sometimes stepping out of our own grief to answer the prayer of another grieving person is just the thing we need to begin our own healing. The story is set around Christmas time. But it can be read any time of the year, because it is a story about forgiveness, healing, and unselfish giving. Simply and beautifully written in a way that captures your heart. I really enjoyed this book even though some of the subject matter was a bit heavy. I will definitely be keeping my eyes out for more of his books. What should I ask for when I pray? What does God say about worshiping in prayer? The title really says it all. This isn't an author's idea or study of how we need to pray. This is a list of every single text in the Bible that deals with prayer. They are broken up into chapters that each deal with a specific question. At the end of the book there are some thoughts on prayer from Christian authors. But this book is not about them. It is about what God says about prayer. This is definitely a book I'll be keeping. My class at church is studying prayer and this will be the perfect companion guide to our lesson study. It's easy to reference and find the text you need. Sadly Christians have conflict just as much as non-Christians. Jones takes the issues that we face and breaks down why and how we need to resolve our conflicts. He begins with examining our hearts and finding peace within. Then he breaks down the different types of conflict we will potentially face and gives Bible verses and practical advice on how to get through and overcome each obstacle in our lives. The smooth writing style, plenty of Bible verses and practical advice are all good reasons to read this book. The book is detailed, but very simple to read. I didn't feel like I needed a degree in theology to wade through it. Since everyone has conflict, this book is for every Christian. Most children do not have the time or inclination to read instructions on how to study better. But the author's style has made this book actually enjoyable to read. The simple writing style and clear instructions set this book apart from the typical self-help study books. A student of any age (starting about middle school) will greatly benefit from the concise and important lesson in this book. Forty-seven chapters outline every possible scenario for studying and learning. The print is large so that your eyes aren't strained. The strategies and skills in the book will prove invaluable if taken to heart. This is definitely a book I'll be keeping for my children to read when they reach middle school. Lonnie wants out of her abusive home so badly that she's counting the days until her eighteenth birthday. But she makes the mistake of kissing ladies' man Gideon and finds herself a bride. She's jumped from the frying pan into the fire and doesn't know what to do. Her faith is the only thing keeping her sane. Set in the beautiful Appalachian mountains and fraught with trouble from the very beginning. This is a beautiful story by first time author Bischof. Her style of writing is very visual and helps the reader to picture where the story is taking place. The characters seemed real and true to life. My only complaint would be the loose ends in the story. There were quite a few illusions to more background on Lonnie in the story and after her marriage they were not mentioned again. I'm hoping that the next book clears those up. Despite this, I enjoyed the story. I'm looking forward to checking out her next novel in the Cadence of Grace Series. Amy moves her little family to Weaverly, KS hoping to get a fresh start after the death of her husband. She unknowingly moves next door to Tim, a man who has left the Mennonite faith. Their paths keep crossing and Amy keeps praying that God will soften Tim's heart. Summer heat and a simpler lifestyle helped make this a very slow, meandering story for me. The information was there enticing me to care about the characters, but the shallow depth and lack of romantic plot had me completely indifferent to them and their outcome. I am not sure if this is typical Amish/Mennonite romance or not, but I need a bit more depth and plot to enjoy a story. 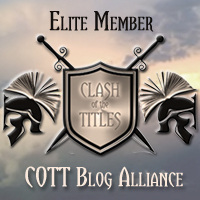 Allegiance is the sequel to Enemy in Blue, which I reviewed previously. The story begins with Cruz and his wife being tortured by an extremist group. The rest of the book is the story of how they "take down" the organization. The first book was non-stop action. Allegiance seemed to have a bit more character development and details. In fact, I had to put the book down quite a few times and read something else before returning due to the dark and graphic nature of the story. It's a story about drugs, immigration issues and deceit. Quite a few of the incidences are unrealistic, but the issues that the story deals with are a very real issue in our country. It's a good book and definitely worth the read if you enjoy dark, detailed stories that tackle political and racial issues. Alexa casts a love spell hoping to catch a rich single man who will not only marry her, but help her out of her financial problems. What she gets is a marriage bargain with a man who is the exact opposite of what she asked for. The two main characters were fun. Their struggles at the beginning of their bargain are understandable, but also funny. I enjoyed the secondary characters just as much. They added depth to the story and made it even more enjoyable. It's a sweet, light story for all of the romantics out there. Also be sure to keep an eye out for the other two books in the trilogy. I received this book free of charge from BWR Public Relations in exchange for my honest review. Tara finds herself pregnant and still a virgin. Her boyfriend, best friend and family all reject her in some way. Almost immediately after finding out she is pregnant she begins a strange and frightening journey. People trying to kill or harm her are the norm. She can't figure out who to trust and who is only after her miracle baby. A female second messiah is a hard concept to grasp. If you are religious I would recommend suspending reality. Just enjoy the story for the fast paced thriller and brush over the religious and feminist overtures. That being said I enjoyed the story, but didn't love it. It isn't my typical style, but I could appreciate the details and suspense written into the story. I think my main complaint would be the ending. If you've read any of my reviews you know that I like neat endings with a bow on them. This is not one of those books. A sequel is coming out that may resolve the issue, but for now I was left with more questions than answers. Lady Olivia John is a widow living in a small home with her mother. Months after the death of her husband she receives a letter from her late husband's family. They would like her to come visit them in the family home in London. Olivia is a bit apprehensive about meeting her husband's family, but accepts the invitation. What follows is enlightening time for Olivia and her mother. Lady John was written in 1982 and has now become available in an ebook format. The book began a bit slow for me because it is written in regency style of writing and speaking. 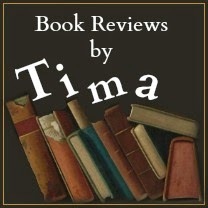 But once I became accustomed to the dialogue the book picked up and I enjoyed the story. There are several hilarious characters that I either loved or loved to hate. It's a sweet, romantic read that will definitely appeal to regency lovers. I received this book free of charge from Library Thing in exchange for my honest review. 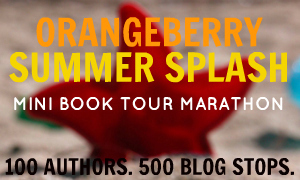 This blog post is part of the Orangeberry Virtual Book Tour. Please head over here to check out their amazing give-away. Flirty, funny and romantic are great descriptions for these stories. Five stories in each flirt that stand alone, but tie together in a small way. I read the entire book in one sitting, but these are perfect for when you only have a few moments to read. The sweet romantic stories are told with a humorous chick-lit feel. Each story is cute and has a feel good ending. This is the perfect book for the romantic at heart. I will definitely be checking out the author's other stories. Bethany had a very rough life growing up. The second she got a chance she fled her small country town. But now she feels compelled to return. Returning means that she must face the demons that haunted her through childhood, but it could also be the beginning of healing. I love the characters in this book. Ganshert has done an outstanding job at portraying real and believable characters. The story flows smoothly and while some of the subject matter is dark and difficult, I still couldn't put the book down. The spiritual aspect is simple and beautifully written. This is an amazing book from a first time author. I will definitely be getting her next book. I do have one word of caution for anyone purchasing this book. If you have experienced the recent death of a loved one (like I have), this book will be VERY difficult to read. It is an amazing book that portrays the pain of death in detail and very accurately. It is a book that I highly recommend, just take this in to consideration first. I received this book from WaterBrook free of charge in exchange for my honest review. Carol Miller is a legend in the radio industry. She's been a radio dj, or personality, for four decades and has met, mingled with, and dated famous rock stars. Her memoir is a list of who is who in the rock music industry, but it's also a glimpse into her private life. Her list of accomplishments is astounding and her success in the music industry is worth reading. The smooth voice that Carol Miller brings to the radio translates into a book that is entertaining and inspiring to read. Her personal struggles, while huge, are not depressing and dark to read. Her sense of humor shines through even the darkest tales. If you love music, specifically rock music, this is a must read. Casey, a dance instructor, meets Drew when he comes to pull his son out of her class. She's poor and struggling to keep her dance studio afloat; he's wealthy and never wanted for anything. It's a relationship fraught with misunderstanding and drama from the very beginning. The characters in the story were real, especially the males. Romance stories typically have the females more true to character than the males. But in this story both characters, I felt, were portrayed correctly. This is probably due to the husband and wife writing team. The story was enjoyable to read and moved smoothly. There was quite a bit of drama at the end, but it didn't detract from my enjoyment. I will definitely be keeping my eye out for the next book in the series. The doctor is being accused of murder. All but one of his friends and acquaintances think he did it. The other characters include a suspected mob boss and his beautiful wife, the fighting neighbors, co-workers and a cleaning lady. Who is the murder? The story works similar to a soap opera with each character having a separate, but often intertwining story. It's a mystery, a romance and a drama all rolled into one story. My opinion of this book was a bit of a mixed bag. On one hand, I enjoyed reading the story and liked the odd way that it ended. But the other part of me was easily confused by the large number of changing characters and the often unnecessary details that left me wondering when or how they mattered. I'm going to give it four stars because I enjoyed reading it, but it certainly won't appeal to everyone because of the dialogue and confusing details.